Cold Dude Computers: New Igloo Experiences are here! New Igloo Experiences are here! Recently the new igloo experiences came out! A lot of thinking obviously went into these new experiences because some VERY exiting things came out. Let's start out with the non-members. First of all... You know how non-members have wanted to put furniture items in their igloos? Well now non-members and members get 6 free items to put in their igloo! Anyone can 'like' an igloo... Even your own! 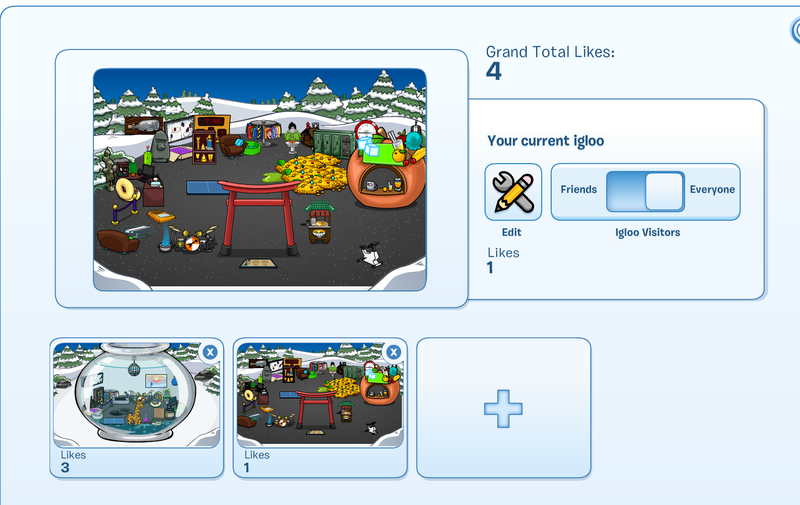 Members can add new igloos and delete the igloo and decorate the background. To delete the igloo but keep the background click on the sign with the crossed out igloo. Members can also have more then one igloo in storage! These new igloo experiences are epic! Have you decorated your igloo or made a new one yet? How many 'likes' do you have? Leave a comment and let us know!